Text objects are another type of Shape object. However, handling text is more complicated than handling other shapes. • Frames collection — In this scenario, each TextFrame object's default member is a TextRange object, which is the text within the frame. • Story — In this scenario, the TextRange object contains all of the text in all of the frames linked to the current Shape object on all of the pages in the document. The text in a TextRange object can be manipulated as a single block of text, and its properties (such as font, size, and style) can be set simultaneously. Alternatively, the TextRange object has several properties that are collections of smaller text ranges: Columns, Paragraphs, Lines, Words, and Characters. 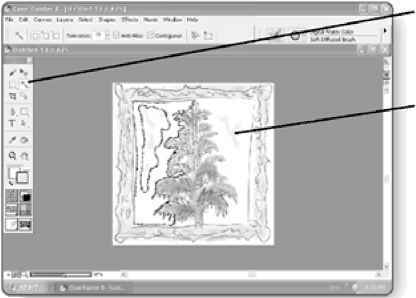 You can create two kinds of text: artistic text and paragraph text. There are many optional parameters for this function, such that you can setting attributes such as italic, bold, size, and alignment. You can format text. To do this, first get a reference to a TextRange object, and then apply the formatting to it. Frames, columns, paragraphs, lines, and the story can all be used to get a reference to a TextRange object. txt.ChangeCase cdrTextUpperCase txt.Font = "Verdana"
txt.Font = "Times New Roman"
All of the formatting options from the Format Text dialog box in CorelDRAW can be applied programmatically by using VBA. See the Text object in the VBA Object Browser for more information. You can fit text to a path by using the Text object's member function FitToPath, which simply attaches a text object to the outline of a shape such that the text flows along the path. What is cdrinch in VBA?